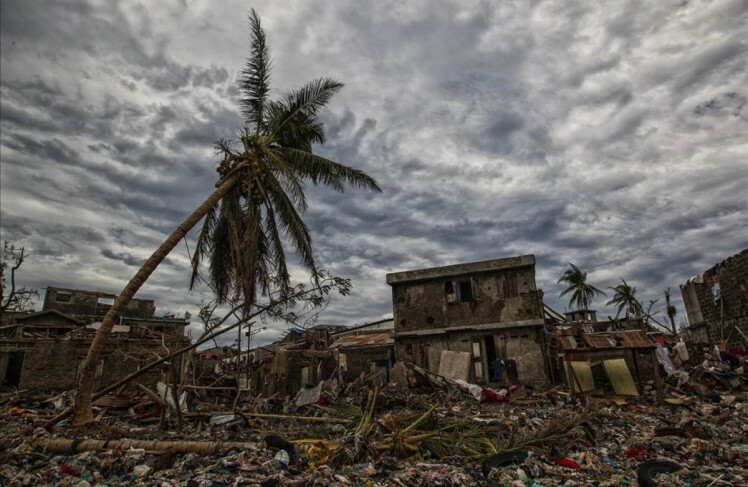 More than 1,000 deaths, 30,000 homes affected or destroyed, winds up to 300 km/hour; These are just a few figures that left Hurricane Matthew in Haiti six years after the earthquake that struck Port-au-Prince, leaving more than 316,000 people dead and 350,000 injured. More than 1.5 million people were left homeless, constituting one of the most serious catastrophes in history. Picture taken by the UN Mission in Haiti MINUSTAH in the town of Jeremie Haiti on Thursday October 6, 2016. Hurricane Matthew, as it passed through this heavily punished country, reached Category 5, which is the maximum predicted that a hurricane can reach, and destroyed everything that crossed in its way. Is it possible to imagine dwelling resisting these enormous forces of nature? If so, could everyone get one? Keep in mind that Haiti is one of the poorest countries in the world and the poorest in the Caribbean with a GDP per capita of U$D739 (2016). Would it be possible that the architecture of these homes we can provide could be adapted to the culture and taste of each country? We offer total freedom of architectural expression that allows us to design houses adapted to the local needs keeping whilst at the same time keeping the homes affordable. Of course, after all the above, you are now wondering if using this technology, we have can employ local labour and material resources of traditional housing construction. The technology we have is very easy to implement, allowing it to be applied by personnel with no previous experience, which does not limit production capacity, and can respond to an urgent demand as a result of a natural disaster. Let us demonstrate each of the questions raised point by point. The wind force acting on a construction has a magnitude proportional to the square of its velocity. Thus, a wind of 100 km/h generates forces four times higher than one of 50 km/h. In order to simplify the calculation, modern wind regulations use an equivalent static pressure value, which is obtained by multiplying the value of the dynamic pressure by a series of coefficients that depend on several factors: shape, height of construction, environment, Etc., which cause the wind computing force to exceed the value of the dynamic force. For the purposes of this example, we assume that the coefficient reaches 1.25. We would then have a dwelling, for example in Santander would be calculated to withstand a static pressure of 1.25 x 0.52 kN/m2 = 0.65 kN/m2 whereas that same housing, if it were to resist Matthew would have a pressure value of calculation 8.35 times higher, that is: 5.43 kN / m2 (543 Kg/m2). In the main direction, there are 4 walls (2 exteriors + 2 interiors) and in the lower direction there are only 2 walls that are the exteriors of the house.